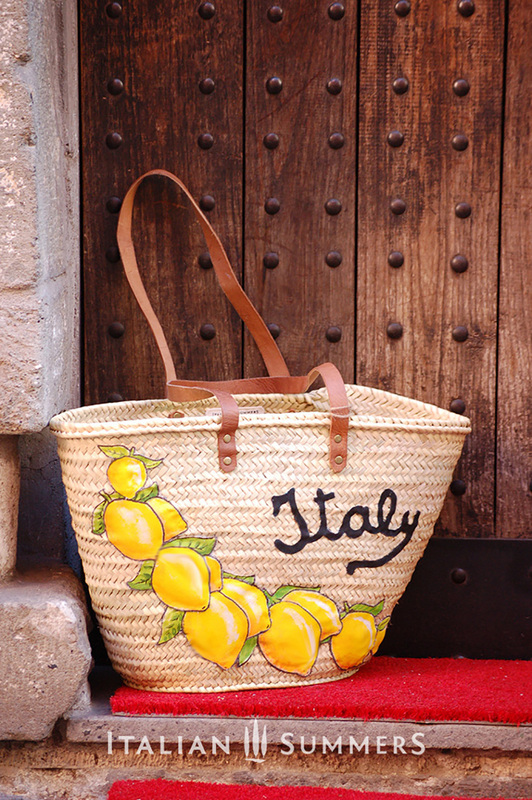 The joyous garland of handpainted lemon-patches decorates this happy straw bag, the word ‘Italy’ beckons. *Note: Each strawbag is a unique hand made and hand decorated item, no two bags are the same. There will be natural small differences as the Artist replicates the theme. PLEASE READ additional information in the product description at the bottom of this page! 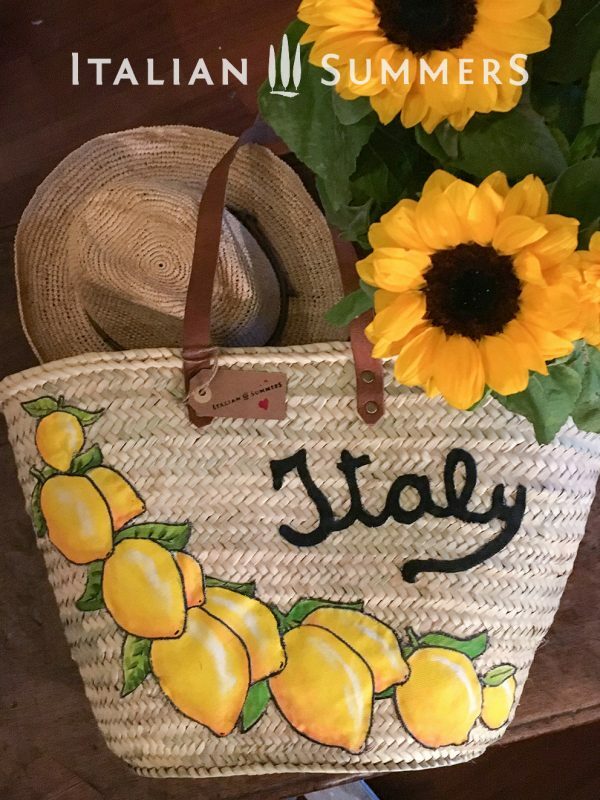 Straw Market bag ITALY LEMONS, your happy lemon bag! 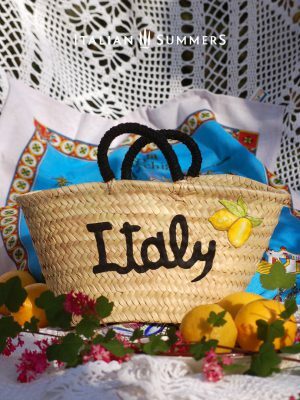 The joyous garland of handpainted lemon-patches decorates this happy straw bag, the word ‘Italy’ beckons. 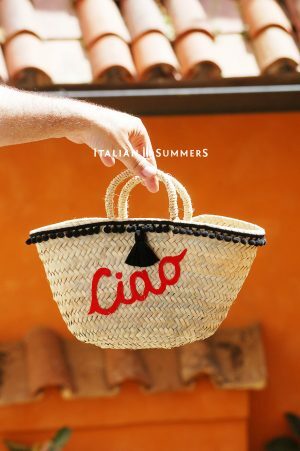 The only question one may have once she wears this gorgeous straw shopper is: ‘How many good things can I carry with it from the farmer’s market?’ 100% hand-made, and hand-decorated in Italy with Amore! The timeless charm of handwoven straw accessories and artifacts strikes deep chords in many of us. Possessing something beautiful, that human hands have crafted from natural raw plant-fibres, is not only refreshing in our consumer mass-machine-production era, it is endearingly enriching. 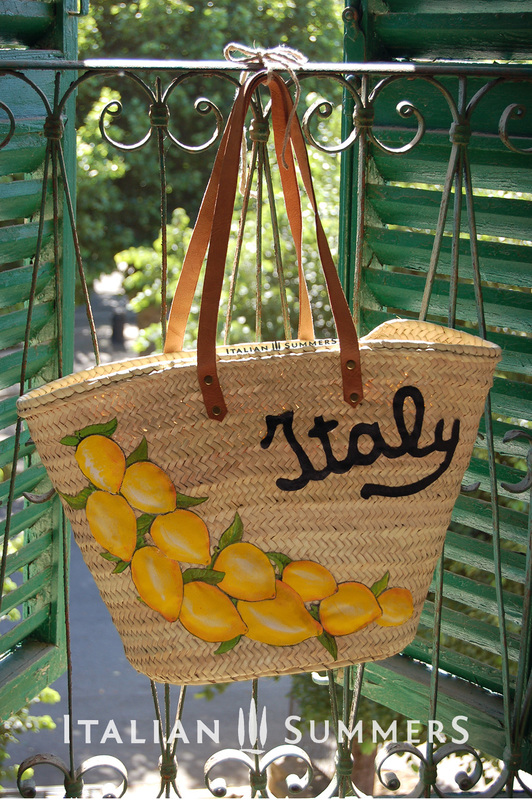 The straw market bag ITALY LEMONS by Italian Summers is a true work of beauty. To know that such an item is a one-of-a-kind, unique and unrepeatable, is perhaps a true luxury beyond the fact that its relative price may be considered irrelevant, when compared to other purchaseables (which exist in the millions as they are stamped out industrially!). 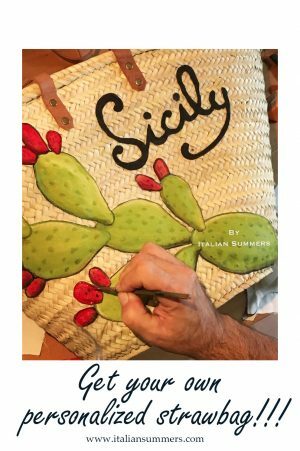 Our raw, unfinished straw bags are handmade by artisans in Morocco and Spain, this implies that each item is inspected personally by us before they are decorated and finished by us in Italy. Every piece is unique as there are no two alike. Please keep in mind that all of these straw bags may have their slight ‘blemishes’ as part of their organic nature, which really is their true charm. 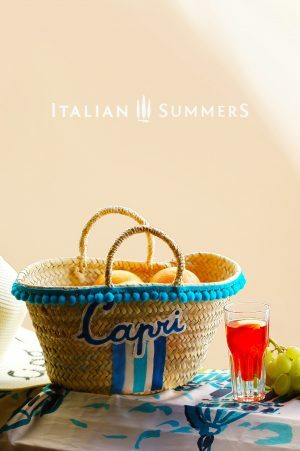 The straw bags present a distinctive ‘overlap’ finishing braid on the top rim. This is part of the weaving technique. As we pack and ship our bags in the best manner possible, some may arrive slightly out of shape. This is easy to fix. Simply spray the bag slightly with water in a spraybottle and reshape it gently as the fibres soften up.